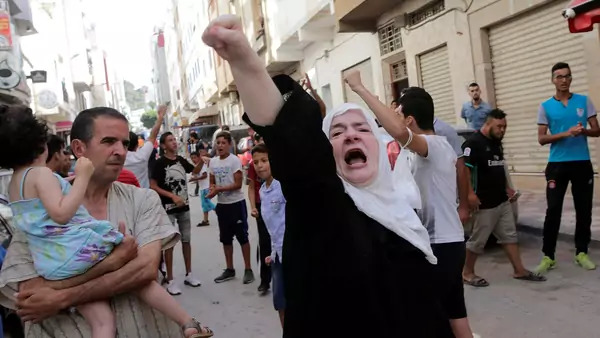 A woman shouts slogans during a demonstration against official abuses and corruption in the town of al-Hoceima, Morocco (Youssef Boudlal/Reuters). Ariane Tabatabai and Annie Tracy Samuel find that the Iranian state's attitude toward the Iran nuclear deal is rooted in its experiences during the 1980–1988 Iran-Iraq War. Andrew Leber explores the rise of post-revolutionary dystopian stories as new genre in Egyptian literature. Jesse Brent argues that Morocco's monarchy is no longer able to control the ongoing Amazigh-led protests in the northern Rif region.